At Lothorian Pools, we pride ourselves in being more than just pool builders. We offer a number of pool services in the Baltimore, Carroll and Harford County areas to satisfy every and all swimming pool and spa needs. Our custom patio design service takes the luxurious look and feel of your pool and spa and translates that into your outdoor living space. Whether you’re looking for an outdoor kitchen, fireplace, or a comfortable sitting area for friends and family, you’ll be sure to get a custom exterior patio design that compliments your taste and preferences. If you’re ready to speak to our design team to transform your outdoor living space, give us a call us today at 410.667.7665 or contact us online. We’ll be in touch shortly to begin the process. It does not matter if you have worked with Lothorian Pools in the past or not. 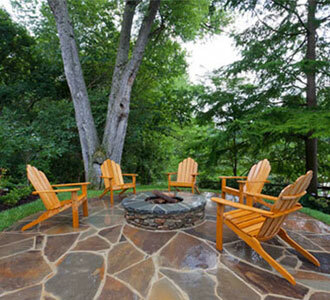 We’ll renovate your existing space and create a luxurious outdoor living area. We have an interior design professional on staff that has the ability to provide high-quality design finishes that will complete the aesthetic of your outdoor project. She has mentored with some of the finest interior designers in Baltimore. Along with a talent for combining colors and textures, she brings to the table the ability to listen to the client and provide them the materialization of their ideas and desires. You can find more samples of our pools and outdoor spaces in our portfolio. Examples of outdoor living design by Lothorian Pools.